While a neat and tidy home is definitely one way of making sure that one comes back from work without feeling even more stressed, but rather, soothed by the entire zen-like experience, imagine the kind of wonders that can be achieved when that is accompanied by the right scents. Yup, you read that right – the correct scents. Since we are living in the digital age, it might be well worth taking note that the $64.95 Sonic Scent Diffuser will be a whole lot more capable than that of an ordinary essential oil burner. How does the Sonic Scent Diffuser work? Well, this aroma diffuser will rely on ultrasonic waves to get the job done quietly and in private, where it is capable of freshening up a room and to release pleasant scents without the need for heat, flames, or moisture. This means you can kiss goodbye to the likes of an aromatherapy environment that emits a scalding hot steam, or to use dangerous candles that has its own mess of wax to deal with. Thanks to the use of inaudible high frequency waves, one is able to enjoy a safe, cool mist. 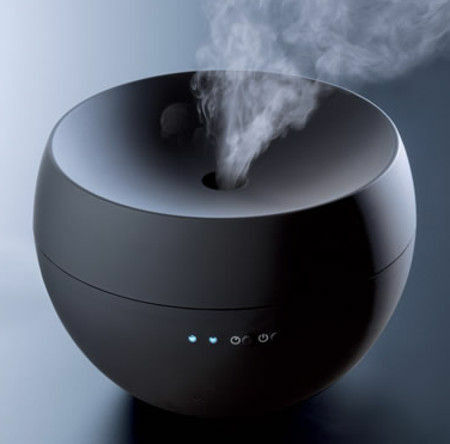 The calming diffuser is touted to be quieter compared to a whisper, and it can be easily operated through filling the bowl with water, while placing a few drops of your desired fragrance. It can run in 10-minute intervals every 24 hours (or up to four continuous hours), ensuring that your home smells fresh all the time, while the automatic shut-off functions as a safety valve. One is unable to choose from the color however, but we do know that the minimalist design ought to agree with just about anyone.